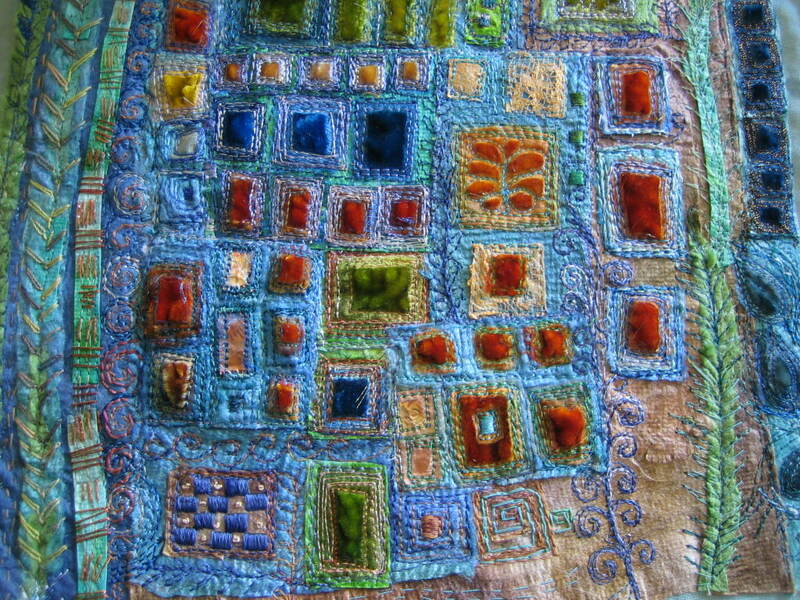 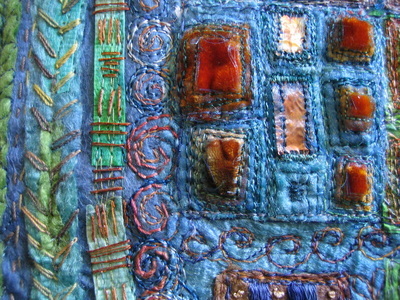 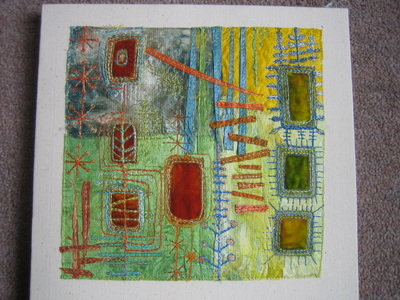 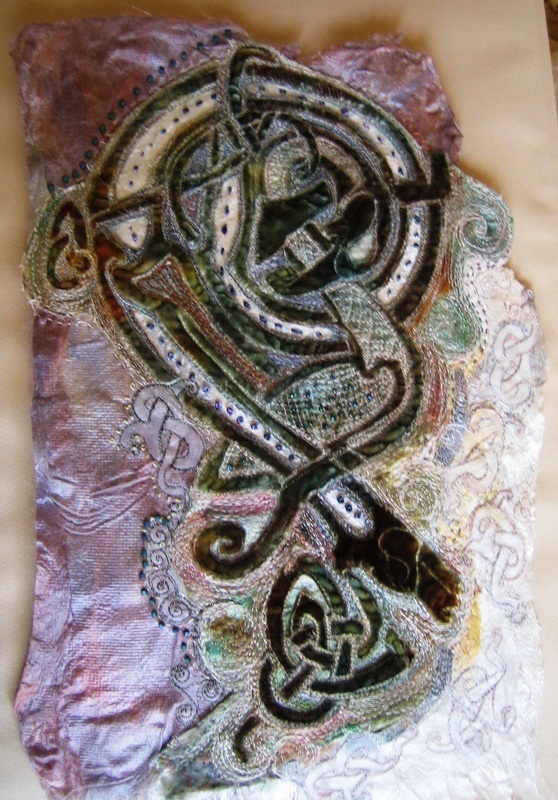 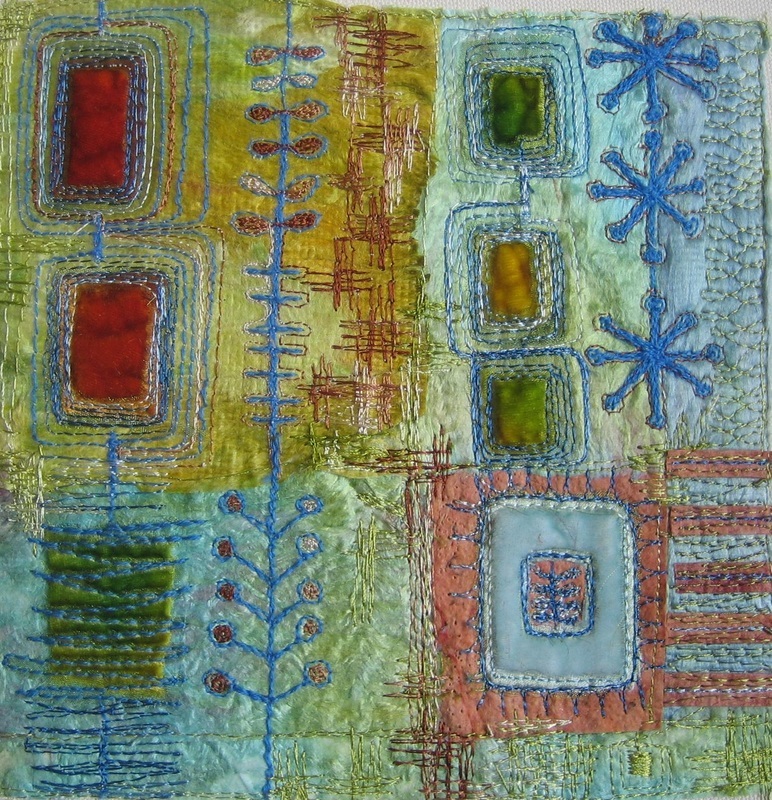 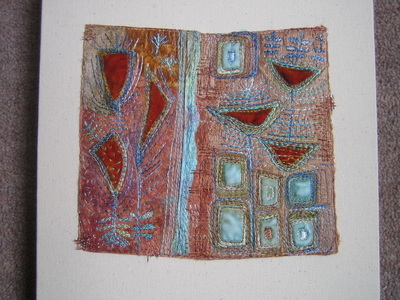 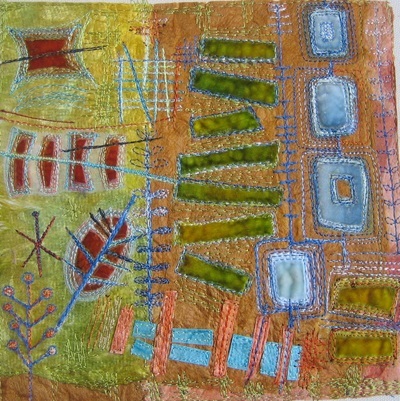 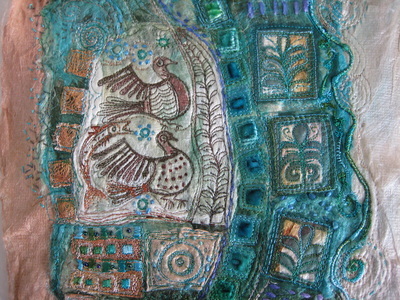 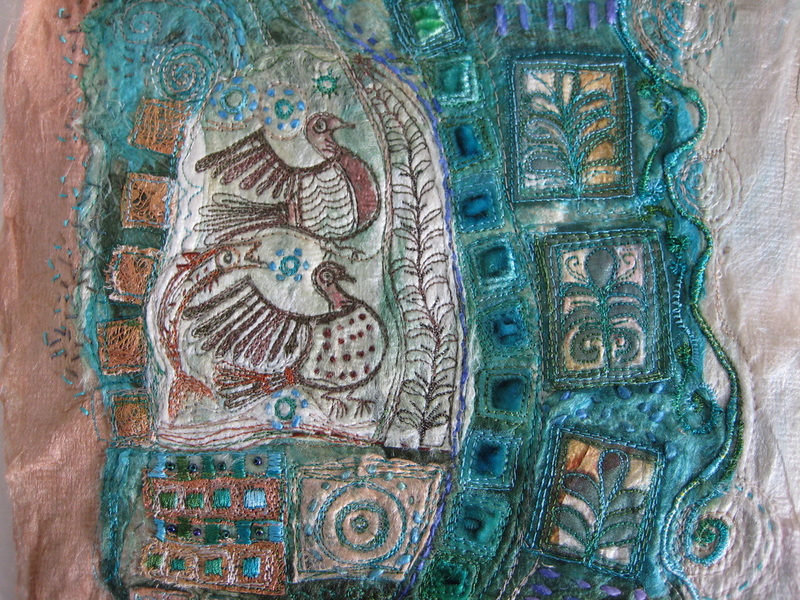 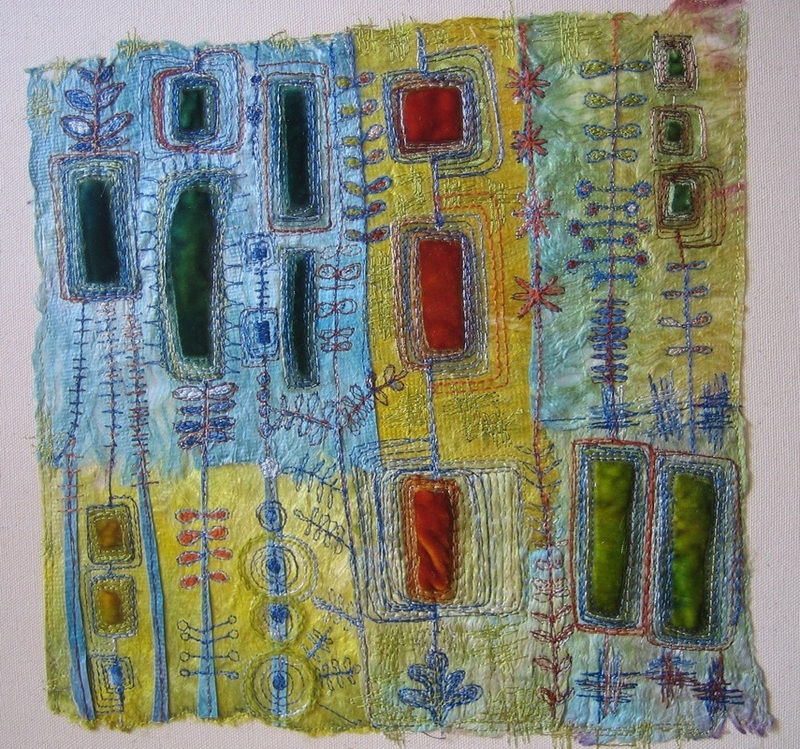 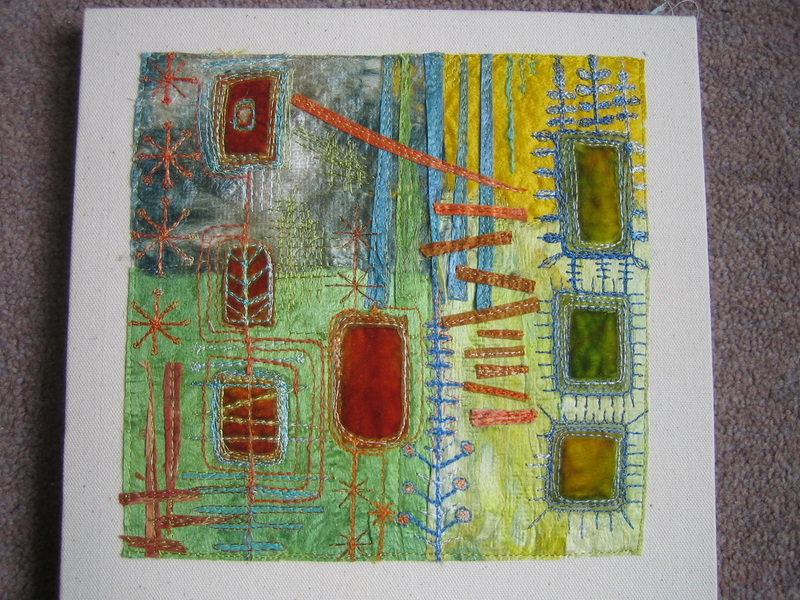 The works here are stitched on to a background of silk paper. 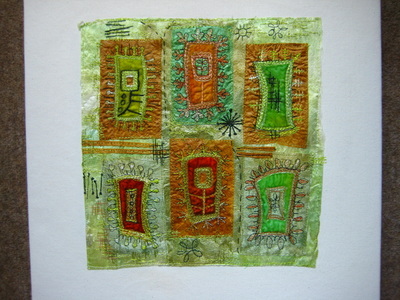 That is 'paper' made from un-spun dyes silk fibres. 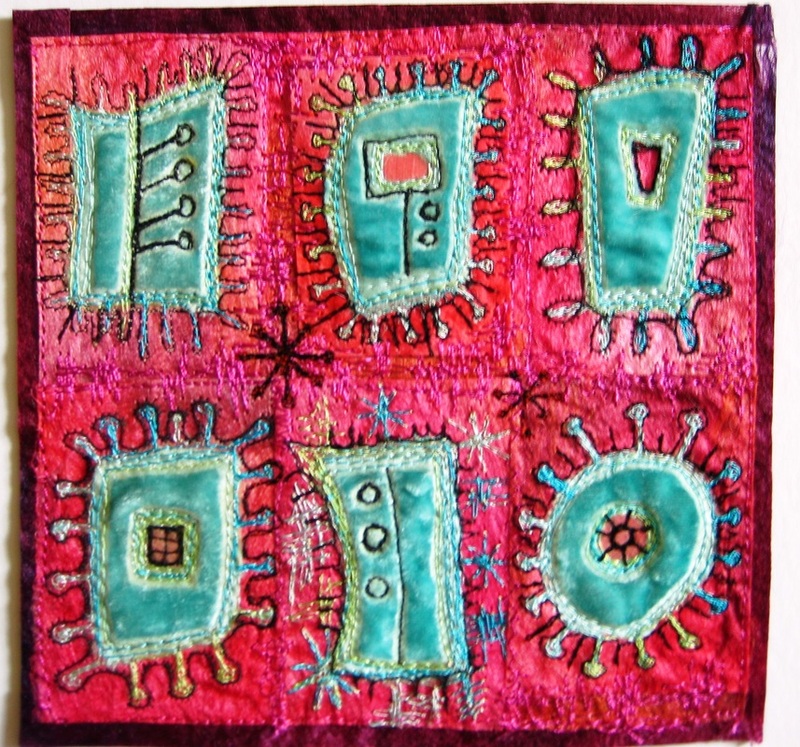 The pieces of paper are quite stiff, and the work can be stitched on several small pieces and grafted together. 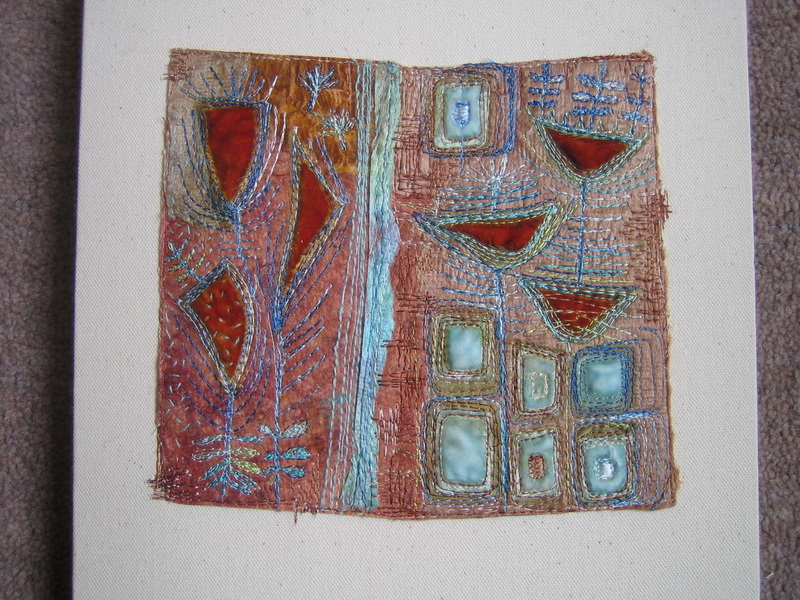 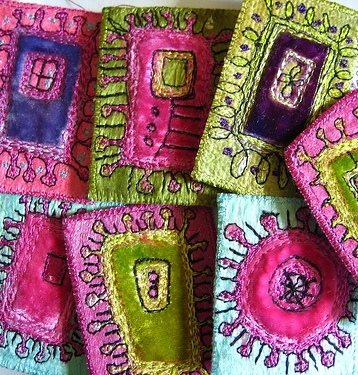 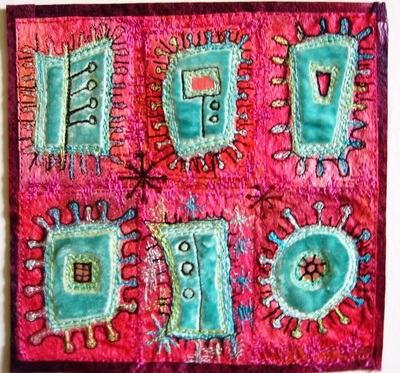 Shapes can be cut and applied together with machine and hand stitch.